The Cowles Agency (formerly the Cowles-Ryan Literary Agency) is located in San Francisco, CA. Established in 2018, The Cowles Agency accepts query letters from authors of nonfiction books. If you want to get a literary agent with The Cowles Agency, use the List of Literary Agents in our Directory of Literary Agents™ to find out which agent is the best suited to represent your book. 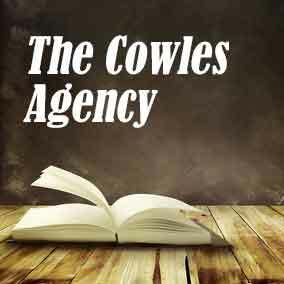 You should also click here to see if The Cowles Agency appears on our list of Top Literary Agencies, and click here to see if any of the literary agents who work at The Cowles Agency appear on our list of Best Literary Agents. When you enter the directory, you’ll be able to see complete profiles for every literary agent at The Cowles Agency, and every other literary agency. Katherine Cowles is the founder of the agency. She brings her experience of working for Simon & Schuster and Double Day, plus her time with the Cowles-Ryan Literary Agency, to her new venture. The Cowles Agency acts as a creative and strategic resource every step of the process. They amplify key book ideas and refine concepts with their authors. They work with their clients to expand their brands over the course of their careers, often selling rights directly, including: sponsorships, foreign, film, licensing, and commercial projects. They are dedicated to assisting their authors find a clear relevance, mission, and substantial audience for their books.This agency brings writers, photographers, artists, and collaborators together to support projects when necessary. This agency only allows queries via email. They don’t allow authors to query via postal mail, phone, or social media. Before you query The Cowles Agency, make sure you have the most up-to-date information by looking in our Directory of Literary Agents™. There is no charge to use the directory. It’s easy to use. And it contains detailed biographical and contact information for all literary agents. When you enter the Directory of Literary Agents™, you’ll also get free, instant access to our article and audio library with additional information to help you get a top literary agent, publisher, and book deal. 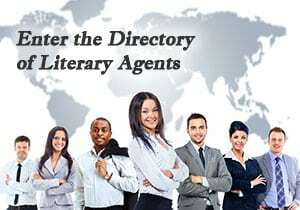 The Directory of Literary Agents™ has been called the most comprehensive and accurate list of literary agencies and agents available today, in print or online. Other literary agent lists and directories are often incomplete, outdated, and filled with mistakes. The Directory of Literary Agents™ is completely up-to-date with full profiles and photographs for every agent in the United States. There are more than 1,000 literary agent listings and you can search by location, book genres, AAR status, and more. Scroll below to see a sample listing and then enter the directory to see all literary agents listings for The Cowles Agency. Before you submit a query letter to a literary agent at The Cowles Agency, make sure the information you’re using is correct. Most literary agency directories and lists, in print and online, aren’t maintained properly. They’re incomplete, outdated, and have lots of mistakes. If you rely on those literary agency lists or directories to find literary agents with The Cowles Agency or any other literary agencies, you’re going to hurt your chances of getting a book agent. Get free access now to the Directory of Literary Agents™ for the most up-to-date information and listings for all literary agents with The Cowles Agency.